Recent studies of autism spectrum disorder (ASD) and childhood apraxia of speech (CAS) have resulted in conflicting conclusions regarding the comorbidity of these disorders on phenotypic grounds. In a nuclear family with two dually affected and one unaffected offspring, whole-exome sequences were evaluated for single nucleotide and indel variants and CNVs. The affected siblings but not the unaffected sibling share a rare deleterious compound heterozygous mutation in WWOX, implicated both in ASD and motor control. In addition, one of the affected children carries a rare deleterious de novo mutation in the ASD candidate gene RIMS1. 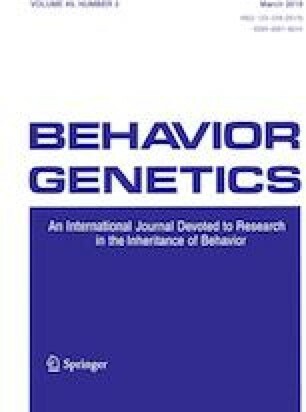 The two affected children but not their unaffected sibling inherited deleterious variants with relevance for ASD and/or CAS. WWOX, RIMS1, and several of the genes harboring the inherited variants are expressed in the brain during prenatal and early postnatal development. Results suggest compound heterozygosity as a cause of ASD and CAS, pleiotropic gene effects, and potentially additional, complex genetic effects. The online version of this article ( https://doi.org/10.1007/s10519-019-09957-8) contains supplementary material, which is available to authorized users. BP and IS conceived the study. BP oversaw and participated in the behavioral data collection and analysis, participated in the variant analysis, and drafted the manuscript; all authors provided comments and revisions. VD and LL provided guidance and participation regarding bioinformatic procedures. HL assisted with the behavioral data collection. CV assisted with analyzing the behavioral test data. IS, MH, and MN managed the variant annotations, validated the variants in IGV, and provided interpretation of genomic results. This research was supported by Arizona State University New Faculty Startup Funding (B. Peter). Beate Peter, Valentin Dinu, Li Liu, Matthew Huentelman, Marcus Naymik, Hope Lancaster, Caitlin Vose, and Isabelle Schrauwen declare that they have no conflict of interest. This study was conducted with the approval of the University of Washington’s institutional review board acting on behalf of Arizona State University. All procedures were in accordance with the 1964 Helsinki declaration and its later amendments. The adults gave written consent to participate and the children participated with their parents’ written permission.